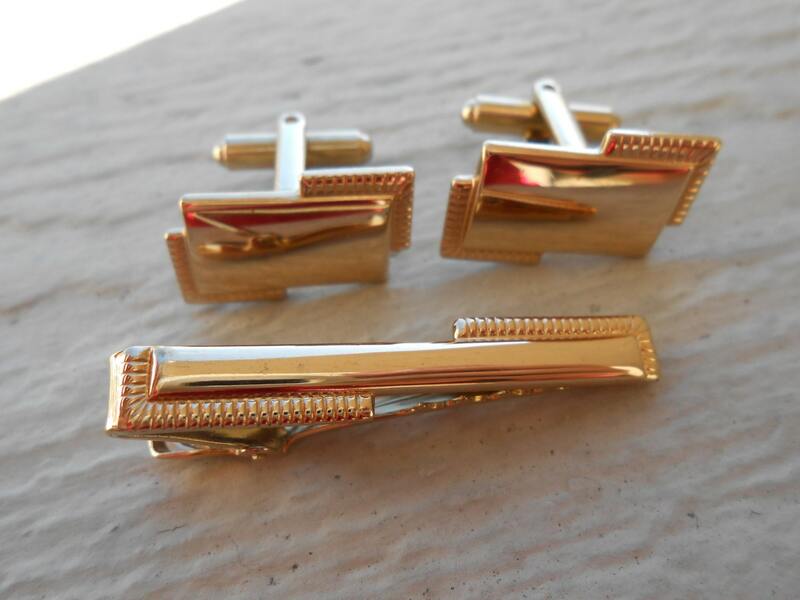 Vintage Abstract Gold Cufflinks & Tie Clip Christmas, Wedding, Men's, Groomsmen Gift, Dad. 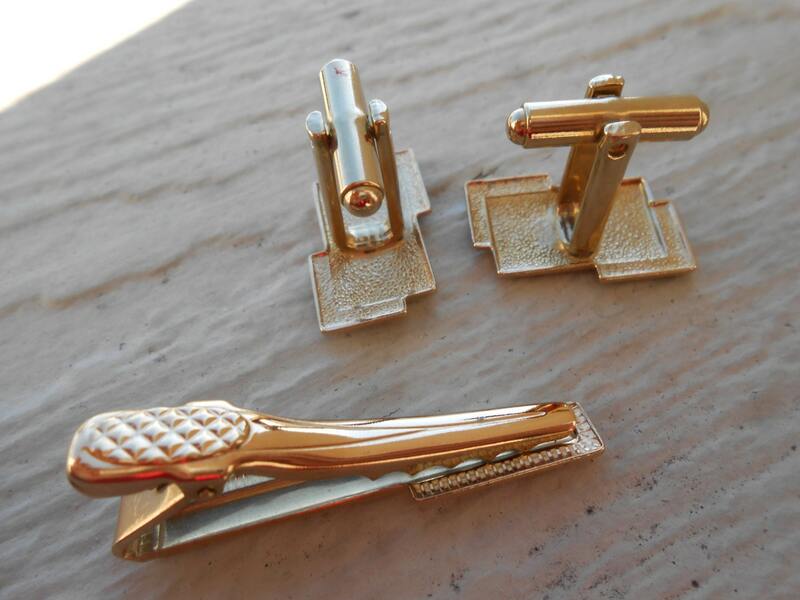 These vintage cufflinks & tie clip are very unique. 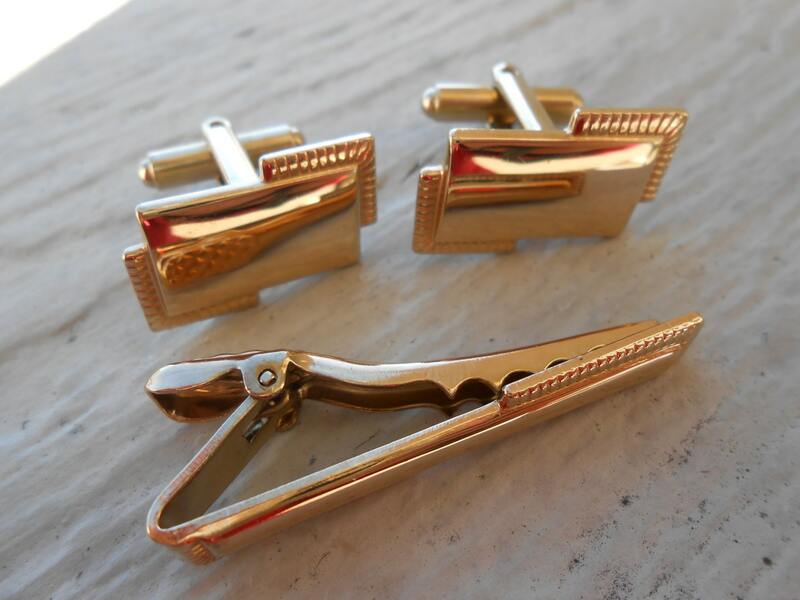 Each one is a gold color. 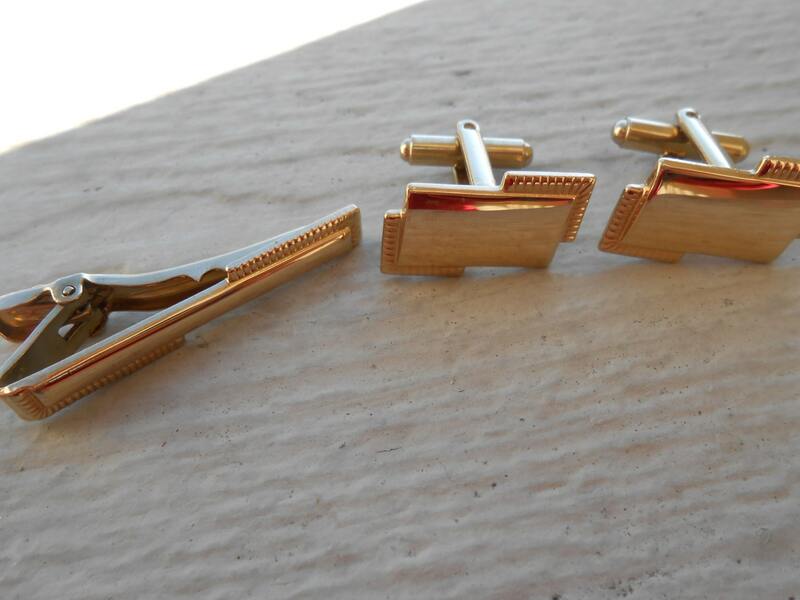 The cufflinks measure 7/8" x 1/2". 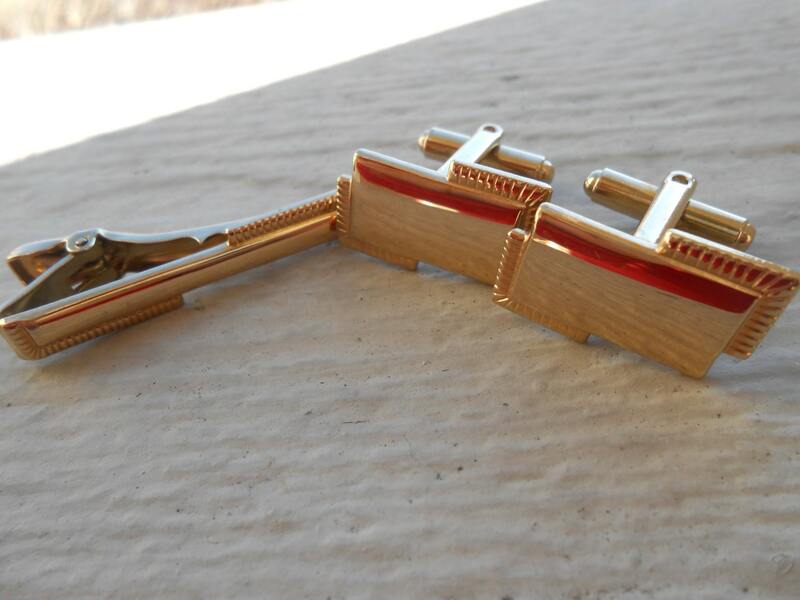 The tie clip measures 1 5/8" long. They're from the 1970s and are in good condition.